At the end of May, Vader will be fully certified as a K-9 for the Windham Police Department. The one and a half-year-old German shepherd is a ball of curiosity and energy. His trainer and handler is Steven Stubbs a 3-year veteran of the Windham Police Department. Being a K-9 handler has been his dream since he first took his job in Windham. Vader was born in Belgium in September of 2014. “He’s a green dog. He had no training,” Stubbs said. His breed makes him an easy dog to train. They tend to be more aggressive, more social and still have the drive to work and please. “He has a phenomenal nose on him,” Stubbs said. Training has been non-stop since Vader arrived. Every Monday Vader and Stubbs get together with other local agencies to train the dogs together. They also train every day in their off time. “It makes it a fulltime job. It’s an eye opening,” Stubbs said. The most fun part of the job, he said, is hanging out with Vader. K9s need 480 hours of training before they are allowed out on patrol. Drug dogs need an additional 320 or so hours. Right now Vader is working on tracking, apprehensions and building searches. “He comes with me every day to work, so he gets used to the sounds and other people around,” Stubbs said. He is not yet patrol ready, so he stays in the car and enjoys the environmental exposure. Stubbs wasn’t the only one up for the K-9 handler position, he said. He was given the position last September. “I was just lucky enough to come out at the top,” Stubbs said. Stubbs had volunteered for different training opportunities with other K-9s and handlers and often stepped in to be a decoy for the dogs. “Steven has shown an interest in the K9 program and wanted to have a police canine before he was even a police officer. We are excited that he has the opportunity to be a part of a program that has such a positive impact in both the public and law enforcement communities,” said Sergeant Bill Andrew from the WPD. He travelled to New York City to pick out Vader, who was purchased for around $7,500. Stubbs grew up with dogs and is fascinated by the ability to bond in a unique way. He was looking for a dog that would work for him and the department. At this point, what calms Vader down is his toy or the promise of his toy, of which Stubbs has a big supply of, just in case. Vader responds to both English and Dutch commands. According to Stubbs, it doesn’t matter which language he uses, the association with the word and command are the same. “Reading your dog – body signals and relay back to them what you want them to do in a clear way,” he described. 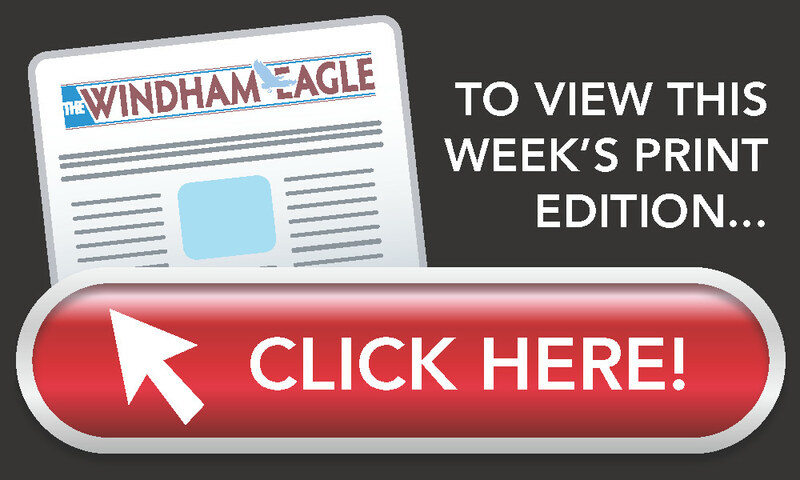 In the three years with Windham, Stubbs has been on the bicycle patrol, MARC self-defense team, an instructor with the Criminal Justice Academy and a physical fitness instructor at the academy. “You can’t ask for a better job. My best friend comes to work with me every day. It’s the best partner,” he said. Stubbs does have another, older dog, named Bosco. On May 16th, Vader will be at the Vacationland Dog Club to show off his skills. “He knows what he’s doing,” Stubbs said. On September 27th, Vader will join K9 Grinko and Andrew at Summerfest. The average working span for a dog is seven to nine years as long as the drive and willingness to want to work is still there. Caryn Pillsbury never anticipated that she would have a stroke. She was 29, in good health, and had not had any previous signs of problems. 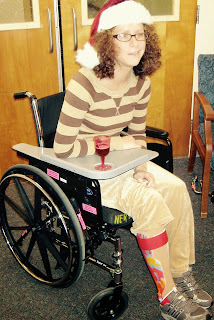 But on Christmas Eve 2008 she suffered an ischemic stroke in the basal ganglia region of her brain, caused by a blood clot. Pillsbury, a lifelong Windham resident, is dedicated to sharing her story to build awareness of strokes, particularly in young women. Pillsbury had no symptoms prior to the stroke. She just dropped to floor suddenly, unable to feel her arms, legs, or anything on her right side. Her son, who was seven at the time, was home with her but she was unable to communicate clearly with him. “I didn’t think stroke. That didn’t even cross my mind for a second,” she said. When her son asked if he should call someone for help, she told him no, thinking her symptoms would go away with time. After several hours, she was transported to the hospital via ambulance. This is a vital piece of the story, she said, because if she’d known the early signs of stroke and sought treatment within three hours of the first symptoms, there is a possibility that a clot busting shot could have helped. But by the time she was treated, so much time had passed that the shot could have caused more damage than good. Pillsbury has come a long way, but is still recovering. “I think I’ll always be recovering,” she said. Outwardly, people may not know something had happened to her, but she knows just what her challenges are. She still attends occupational and physical therapy regularly, “I take it one day at a time, doing what I can do and that’s all I can do,” she said. Pillsbury said the support of her family, the therapy she’s received, and the American Heart Association has played an integral role in her recovery. One of the most important messages Pillsbury is trying to spread is that stroke can happen to anyone, and everyone needs to know the signs to look out for. “The reason why I do this is that young people are really not aware that this could happen to them,” she said. “People need to know that it can happen to you, and these are the signs you need to look out for,” she said. There’s a simple acronym that can help people identify a stroke. F.A.S.T. stands for Face drooping; Arm weakness; Speech difficulty; Time to call 911. “That’s super important. If there’s one thing that people can walk away with from reading this, if they remember F.A.S.T., then the job is done,” said Pillsbury. 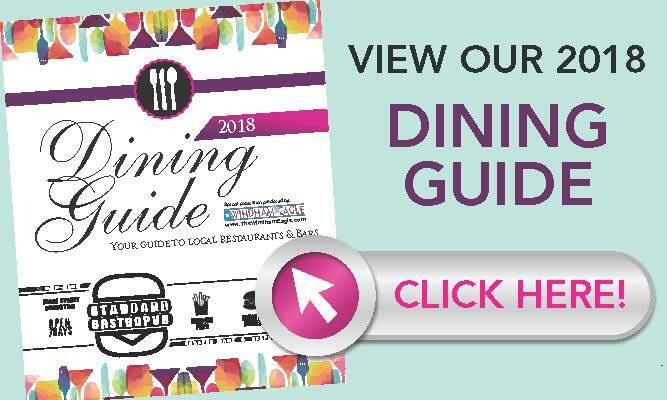 Pillsbury’s efforts to build awareness have included You Tube videos, sharing her story with a news crew, making a commercial for the Heart Walk, and acting as a spokeswoman at the 2015 Go Red Luncheon. 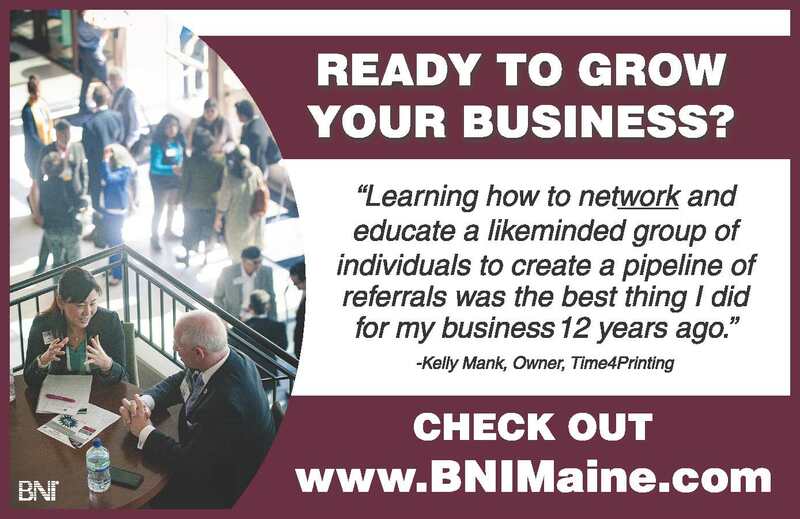 She is participating in the Southern Maine Heartwalk, which will start at AAA of Northern New England and walk around the Back Cove path on Sunday, May 17th. The event begins at 8:30 a.m. with educational displays, heart health education, family friendly activities and a heart healthy breakfast. The walk itself begins at 9:30 a.m, and festivities continue after the walk with activities at the celebration site, including a heart healthy lunch. Anyone interested in participating can register at www.southernmaineheartwalk.org. Louise Beal has lived in Windham for a long time, but her New England roots run much deeper – by almost 400 years. In her Tandberg Trail home, Beal prominently displays a framed family tree on her living room wall. 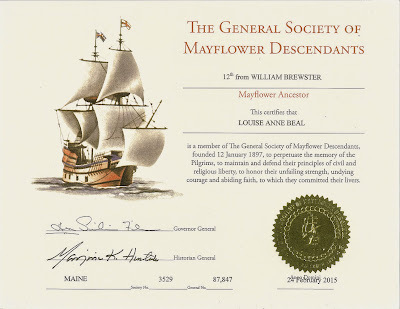 Next to it, at eye level, is her most precious and glorious prize: The official certificate naming Beal a member of the General Society of Mayflower Descendants. 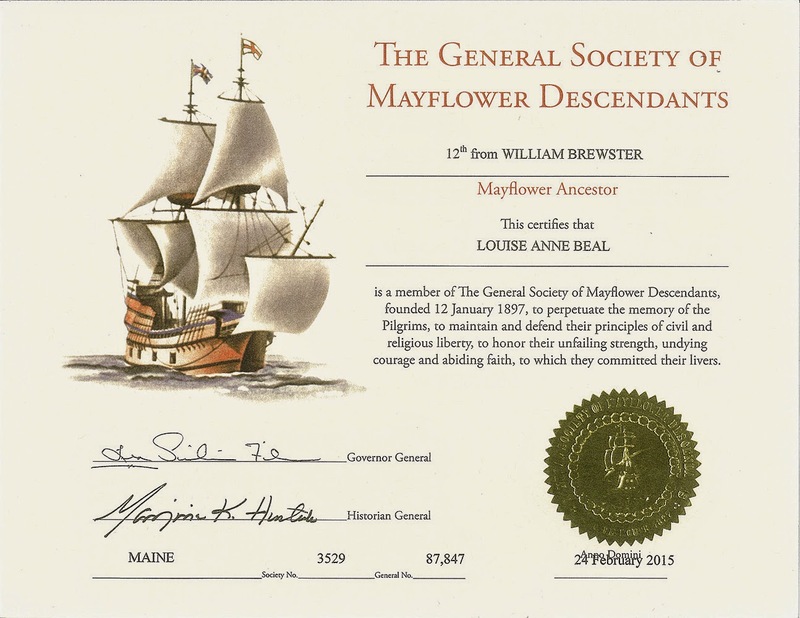 Nearly eight years of genealogical research enabled Beal to present to the Society absolute and unqualified evidence that she is the 12th direct descendant of one the most significant pioneers of the New World, Elder William Brewster. His likeness, highly familiar to generations of schoolchildren in numerous American history textbooks, was immortalized in the famous portrait by American painter Ferris which shows Brewster, clad in black and seated, preparing to sign the Mayflower Compact. 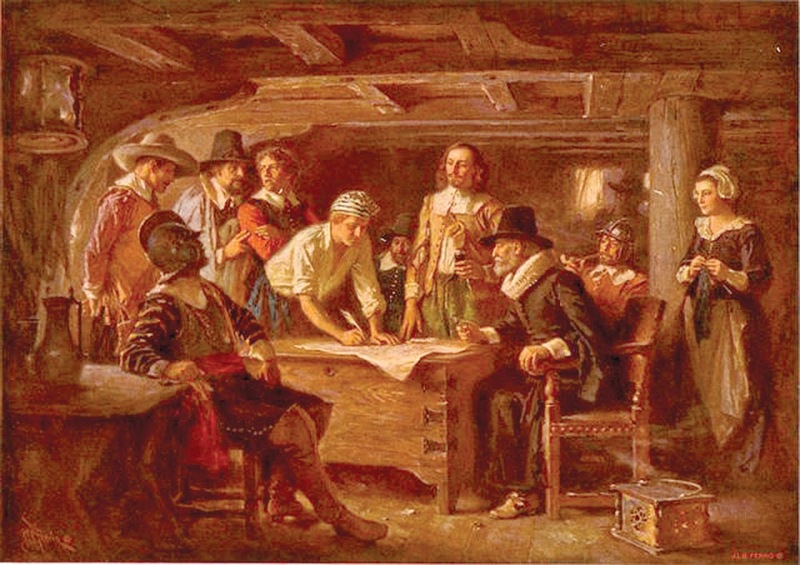 Brewster was a political advisor to Governor William Bradford and the spiritual leader of the Pilgrims at Plymouth Colony. Beal said her interest in family lineage began during a casual conversation back in 1982 when her aunt told her, with some degree of certainty, that the family was descended from William Brewster of Plymouth Colony, a tantalizing historical tid-bit that had been passed down through generations, without documentation. Beal promised herself that one day she would research the accuracy of the oral tradition. Twenty-three years later, when her last grown son had left the household, Beal entered her maiden name into a search engine on her computer. From there, an eight year journey of research began. The investigation through genealogical records, marriage, divorce, birth and death records revealed the lives of long ago family members that now bring pride and admiration to Beal’s modern day family. “There are no horse thieves,” Beal boasted. “They were landowners, politicians, constables, church-goers and fishermen – lots of fishermen, and all captains of their own vessels.” One was a Capt. Doggett who died as he “stuck to his post” when his ship, the Olympian, sank after being broadsided by a steamer in heavy fog in 1913. “A lot of people don’t know who they are, but I do. And I can prove it. Now I can pass this on to my children, my grandchildren and my great grandchildren.” Beal turned to a picture of great granddaughter Scarlet (shown here), who is the 15th direct descendant of Elder William Brewster of Plymouth Colony. Last Thursday after all of the parties had been had and the training was done, Windham Police Department and Chief Rick Lewsen turned over command to incoming Chief Kevin Schofield at a formal change of command ceremony. Having never attended a change of command ceremony I was moved and impressed by the attention to detail and the emotion of the day. After 38 and a half years of law enforcement service, Lewsen was given a proper send off. “Rick Lewsen has seen his fair share of challenges and change,” said Town Manager Tony Plante. He pointed out the men and women in front of him. This, he said, was Lewsen’s legacy. Lewsen wanted to leave three core values with his troops: Professionalism, courtesy and trust. “When you pin your badge on to come to work, remember the three core values – they served me well,” he said. Sgt. Jason Andrews, who arranged the ceremony, spoke about the company flags that military men carried into battle. He who held the flag, held the power. So when the Windham Police Department flag was handed to Lewsen, who passed it to Schofield, I was very moved by the symbolism of it. “You should have a great amount of pride. The torch has been passed on. Please enjoy your well-deserved retirement,” Schofield told Lewsen. After Lewsen shook hands with everyone including Grinko the K-9, he was driven home in a line of police cars with blue lights flashing, and under the ladders and flag suspended over the road put there by the Windham Fire Department. During the procession, people stopped to wave, the Hall’s stood on the side of the road across from Hall Implement to say thank you. When the chief arrived at home where his wife Karen was waiting for him, he gave one last sign off on the radio. It was broadcasted back to the police station. 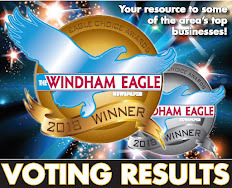 “Windham one to county. Windham one is 10-7.” And with that, he was officially off duty. Congratulations Chief Lewsen. Thank you for your service and sacrifices for our community.